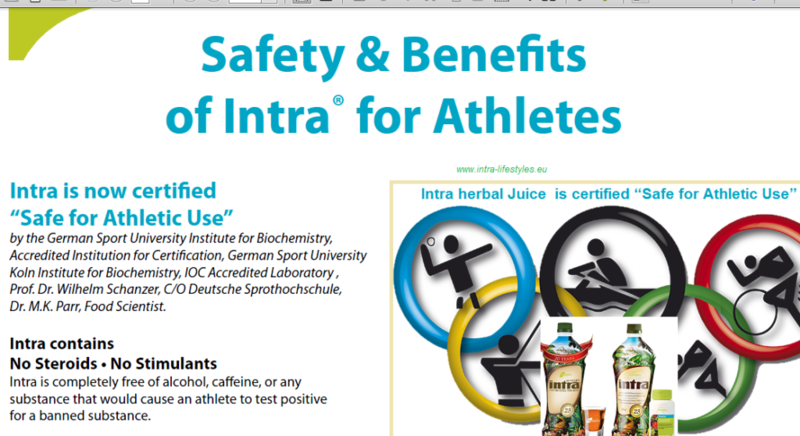 Intra is now certified “Safe for Athletic Use” by the German Sport University Institute for Biochemistry, Accredited Institution for Certification, German Sport University Koln Institute for Biochemistry, IOC Accredited Laboratory , Prof. Dr. Wilhelm Schanzer, C/O Deutsche Sprothochschule, Dr. M.K. Parr, Food Scientist. Although we are told that exercise is good for our bodies, what we are unaware of is that exercise pushes the body beyond its usual capabilities (resulting in muscle damage). With the right amount of recovery time and appropriate nutrients, the body will efficiently repair and rebuild towards an increased level of strength and endurance (this is known as the adaptation syndrome). To continually improve our level of fitness, these principles must be supported by the right amount of nutrients and antioxidants. 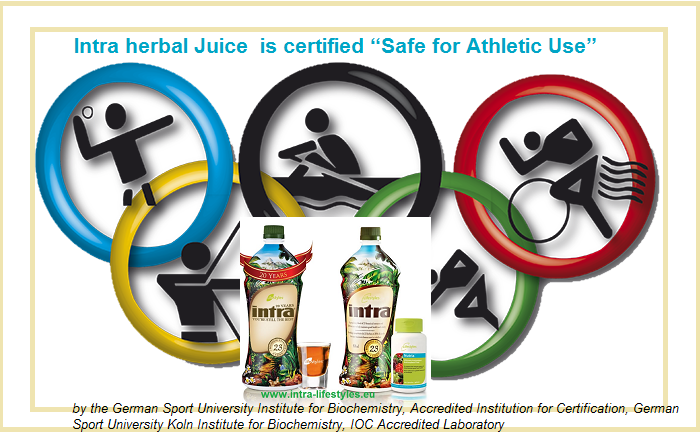 If these essential nutrients are provided, this will boost exercise performance and reduce exercise recovery time. 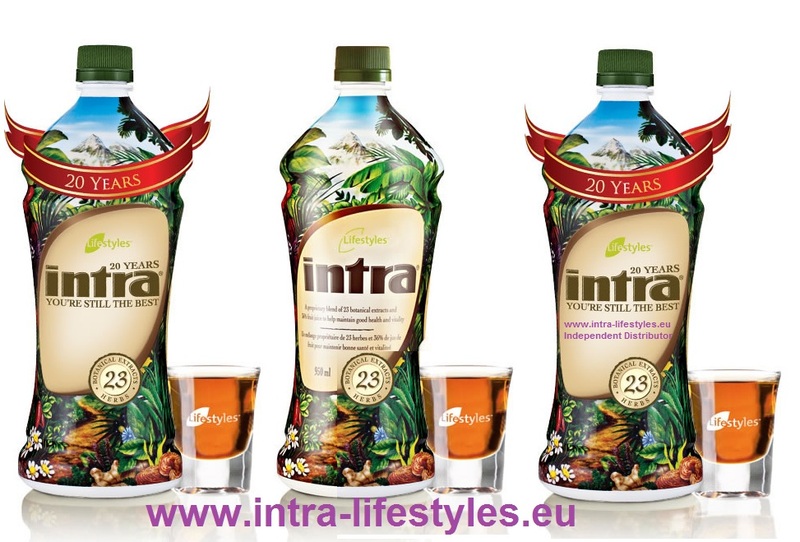 Free Radicals & Lactic Acid – Since exercise increases the amount of oxygen used in the body, this causes an increased production of unstable molecules called free radicals. These highly reactive molecules can damage cells and are believed to be the main cause of sore aching muscles a day or two after exercise (known as delayed onset muscle soreness or DOMS). Wastes/By Products – Since exercise increases metabolism, there is an increased production of waste and by-products. Collectively, these wastes need to be quickly eliminated and neutralized to reduce muscle soreness and improve exercise recovery. Reduced Physical Resistance – Since we are “overloading” our bodies with physical stress, it takes time to repairand replenish the cells after exercise (this is known as exercise recovery).